Bucharest is one of the most beautiful capital cities in Eastern Europe, as it’s an interesting mix of old buildings, modern architecture, “green” spots and amazing street art. Therefore, if you’re planning a short trip to Bucharest, make the best out your time and visit some of the most “must-see” locations that will help you get acquainted with the city in a matter of days. Your Bucharest tour should start with the most emblematic location, the Palace of Parliament. This imposing structure is the second largest building in the world, next to the US Pentagon. Built by former communist dictator Nicolae Ceausescu, it was known as “the People’s House”, a term that is used even to this day. Now, the Romanian Parliament has its headquarter there, but the building is open for visitors. After a visit at the Palace of Parliament, you can take a break, rest in the Izvo rPark nearby, and watch locals and tourists as they relax in this wonderful location during the day. Don’t forget to bring your camera, as you will be able to take some wonderful pictures. Next stop should be the National Art Museum, where you can see works of art by famous painters such as Jan van Eyck, El Greco, Paul Rubens, Rembrandt, or Tintoretto, as well as vast collection of painting by Romanian artists that made a name for themselves throughout the centuries. The National Art Museum is located in the Revolution Square and it was formerly theRoyalRomanianPalace. After a visit at the museum, you can enjoy a croissant and some refreshments in one of the many charming little bistros on the Victory Way (Calea Victoriei). 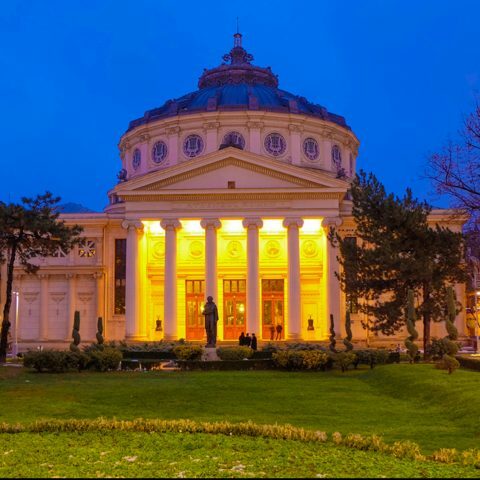 The Romanian Athenaeum is another interesting location, especially for those who want to find out more about Romanian culture. A group of musicians that wanted to promote and increase the public’s interest for symphonic music founded it in 1868. With a history of over 100 years, The Athenaeum is a true landmark of the capital. Many concerts and shows are held here throughout the year. 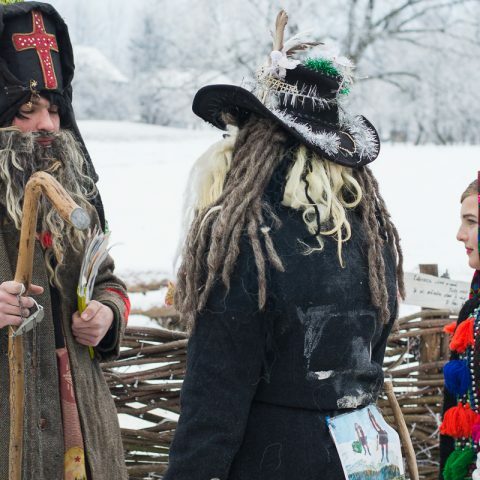 The Museum of the Romanian Peasant is probably one of the most interesting museums in Europe. It successfully combines history, the agricultural society and the rural environment, and it has a collection of more than 100.000 objects. Children will also love this museum, as they can see traditional Romanian clothes and various other old objects used in the daily rural life inRomania. 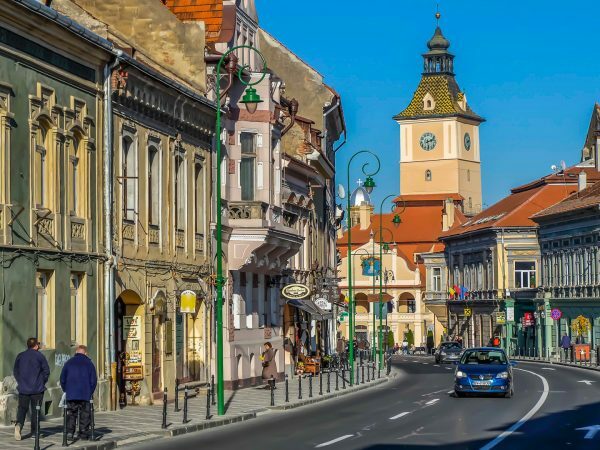 If you’re the type of person that enjoys a nice stroll in the city during a sunny morning or afternoon, Lipscani is a more quiet area of the city. In this area, you will find plenty of restaurants and cafes, small boutiques, hidden passages and an effervescent cultural life. Lipscani is the oldest area inBucharest that was mainly used for commercial activities. Nowadays, theOld Center is still the home of various important historical monuments, such as Stravropoleus Church. 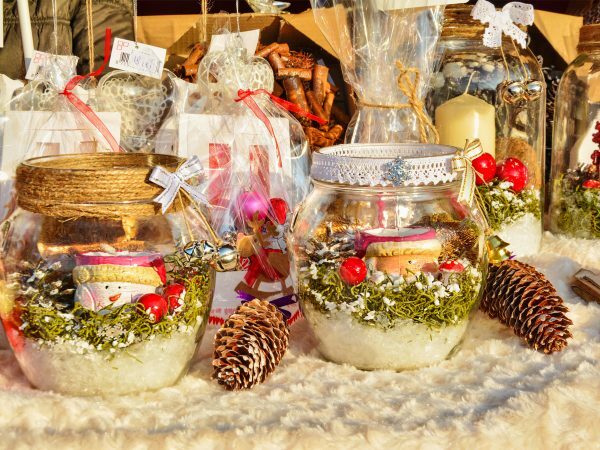 Don’t forget to visit Glassmakers’ Yard, where you can find unique décor items. Sometimes, you can assist at the process of manufacturing various glass objects by local artisans. Cismigiu Park is the perfect place to relax after a busy day. You can forget about the noisy sounds of the city in the “greenest” spot in the capital’s center.Cismigiu Park is quite large, a surface of 17 hectares, to be more precise. You can also go on a boat ride on the lake found in the center of the park and have a nice picnic on the grass. 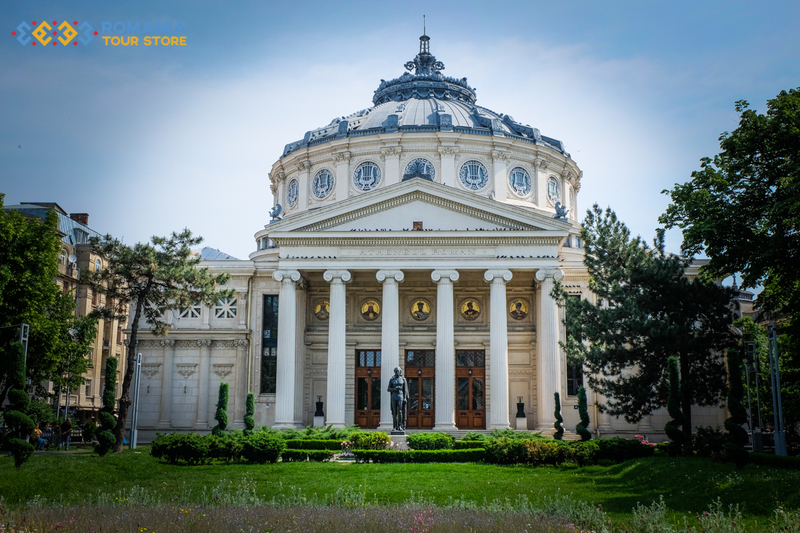 Going back to the Victory Way, the National Museum of History is the perfect place to start your journey to Bucharests’ past and find out more about Romanian history in general. Another urban haven is Herastrau Park. It’s the largest park inBucharest, with a huge lake, trees and flowers.HerastrauPark is the favorite place for a walk during weekends for many locals. 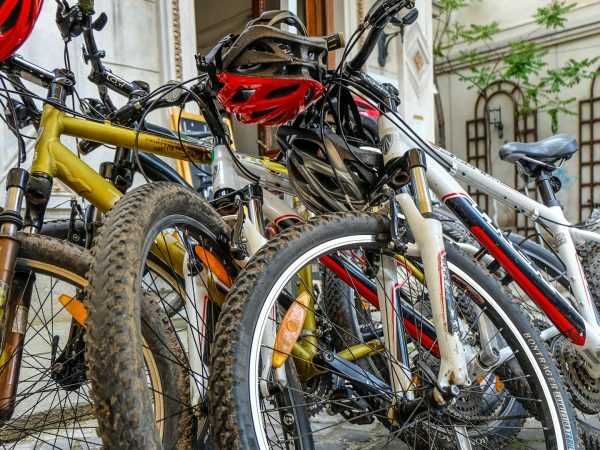 Therefore, don’t be surprised to see many people cycling, roller-skating or taking yoga or bungee jumping classes. During summer days, there are often outdoor movie screenings. The Bucharest Zoo can be found near Baneasa and it’s one of the favorite places for many children. You can see many animal species and have lunch at a nice restaurant with traditional Romanian cuisine. The Zoo was founded in 1955, as a form of “zoo corners” in the main parks ofBucharest and Baneasa forest. In 1962, the Zoo was officially open for public, and ever since then it’s constantly modernized and new animals are brought in each year. Presently, the Zoo has a rich collection of various species, reptiles, exotic mammals, fish, rare animals and many more. Finally, the last stop on your trip should be the Old Court, which is the first Noble Court in Bucharest. The court was partially ruined by a fire in 1718. The ruins were turned into a museum and you can visit it on theFrench Street. 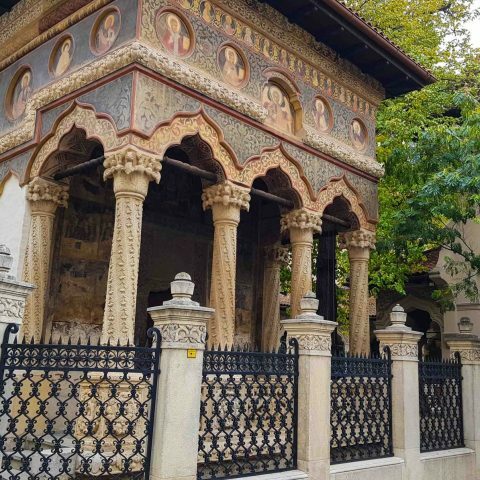 As you can see, even during a short tour of Bucharest, you can visit many locations and also have a taste of the local culture and experience a small part of the Capital’s spirit. You can arrange for a private Bucharest tour, with a guide, or you can also book a custom tour, with specific places that you would like to visit. Either way, one thing’s for sure: there’s no way you might be getting bored.